Smyrna Delaware Real Estate for sale - Delaware Beach Real Estate. Displayed below is an index of available Smyrna Real Estate Properties currently offered for sale. 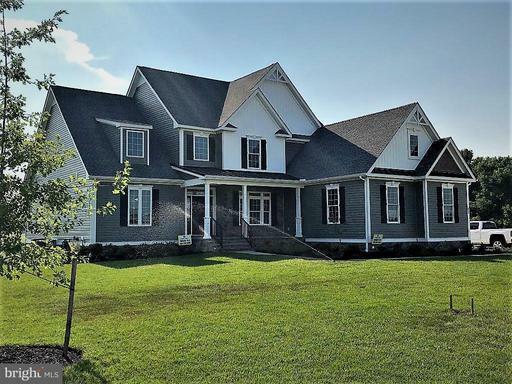 Click on the property photo or the address for each individual Smyrna Delaware property full details, satellite map of the location and all amenities. For a more detailed & refined search of all Smyrna Real Estate Properties on the Multiple Listing Service (MLS) consider using the detailed search page located here: "Detailed Real Estate Properties search." 4.22+/- Acres on the corner of S. DuPont Blvd. and Twin Willows Rd. just south of Smyrna. Zoned Business General with Seemingly endless possibilities. 4.22+/- Acres on the corner of S. DuPont Blvd. and Twin Willows Rd. just south of Smyrna. Zoned Business General with seemingly endless possibilities! Free standing highway site located within Simons Corner. This lot is independent from the complex. Good traffic count and highway location makes this ideal for a variety of uses. 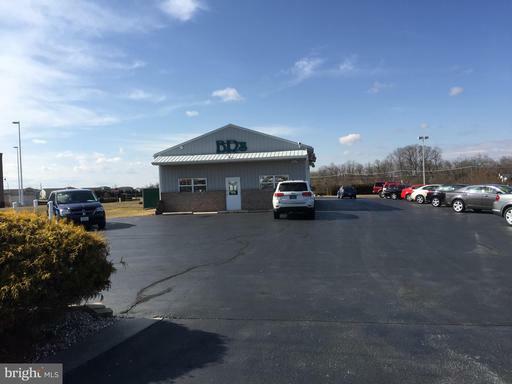 Currently has 30 x 60 pole building with offices and work area being utilized as a car lot. Private water and sewer, but access to public utilities is available. R-10568 Smyrna, Delawares newest Upscale Community. 30 lots, half acre and more, most backup to open space and trees. 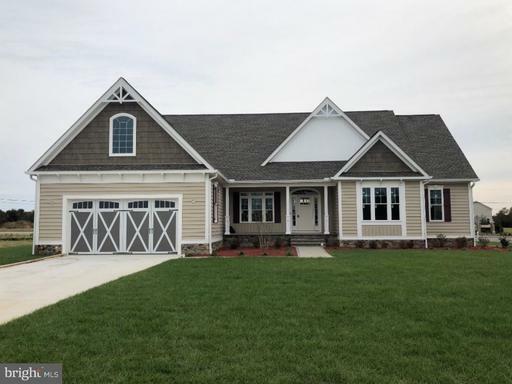 This stunning 4 bedroom 3 bath "Coastal Cottage" style ranch home is by Renaissance Builders. A Builder of Luxury High Performance "Green" Homes. Check out our web-site RenaissanceBuilderDE for floor-plans and information or go to our Facebook page to see pictures of homes recently built. Our Model Home at 23 Leigh Dr. Smyrna is open Saturday & Sunday 11:30-3:30 or by appointment.This Home is Available for Immediate Delivery. If your family likes privacy, consider this charming 4 bedroom home. The 1st floor has a LR, DR, FRM, breakfast/sun room, kitchen w/ breakfast bar, and a private master suite. The master bath has heated floors, soaking tub & a rain shower. A utility room and storage room/office complete this area. The 2nd floor has another master bedroom and 2 full baths. The large deck of the home is great for family picnics. 2 six car detached garages are a must see. One has a man cave and the other has lifts. 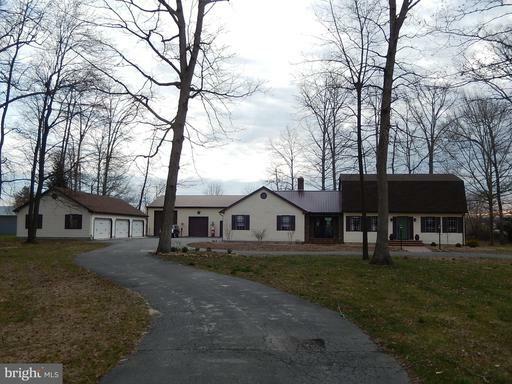 This home is set on a 1.4 acre lot just outside of town limits. Income property in Smyrna. 4 leased apartments and a 1,650 square foot commercial space. Private parking lot for residential tenants, entrances on Commerce Way and Market Plaza. 3 one bedroom apartments and 1 three bedroom unit. Commercial space is ground level with street visibility. Downtown development district grants are available. 2018 appraisal report is available to qualified buyers. R-10682 TO BE BUILT on Lot-20 Mt. Friendship, Delaware's newest Upscale Community, 30 lots, half acre and more most backup to Open Space or Trees. 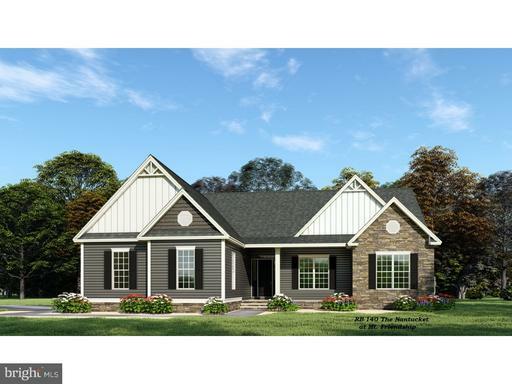 This stunning 3 Bedroom 2 Bath "Coastal Cottage" Ranch style home is by Renaissance Builders. A Builder of Luxury High Performance "Green" Homes. This homes has been modified to maximize the stunning views. This is not your typical Builder Grade Home. You can see other floor plans and information by going to our website RenaissanceBuildersDE or visit our Facebook Page to see homes recently or currently being built. Our Model Home at 23 Leigh Dr. Smyrna is open on Saturday & Sundays from 11:30-3:30 or by appointment. Picture are of other recently built homes and may or may not include upgrades or additions. Let us build your dream home on this unique property. This popular estate home features an open foyer, front and rear stairs and two-story family room. The massive owner's suite includes a sitting room, dressing area, dual walk-in closets and a luxury bath with garden tub, separate vanities and two linen closets. The Philadelphian also includes a "princess suite", "Jack & Jill" bath, and a first floor laundry room. Included features: Gourmet kitchen package including island, double wall oven microwave, separate cooktop and dishwasher. Hardwood flooring in foyer, kitchen and breakfast nook.Crown molding in living room, dining room and foyer. Chair rail in dining room. Ceramic tile flooring in owner's bath. Gas fireplace with marble surround. Stone water table, side entry garage. Masseys Mill is just 15 minutes from the state's capitol of Dover which offers major shopping centers, tourist destinations, and a number of universities and colleges. Easy commute to the Delaware beaches in just over an hour and local shopping. THIS IS A TO BE BUILT HOME. Pictures are not of the actual house.